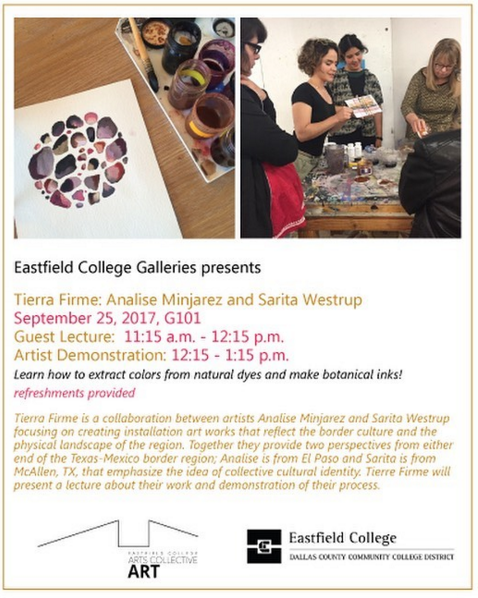 Tierra Firme spoke about our collabortive work and demonstrated the botanical ink process. We enjoyed answering some great questions from the audience like, "How did y'all decide what the artwork is about? ", "How do finances effect the artwork? ", "How do yall deal with disagreements when collaborating?"